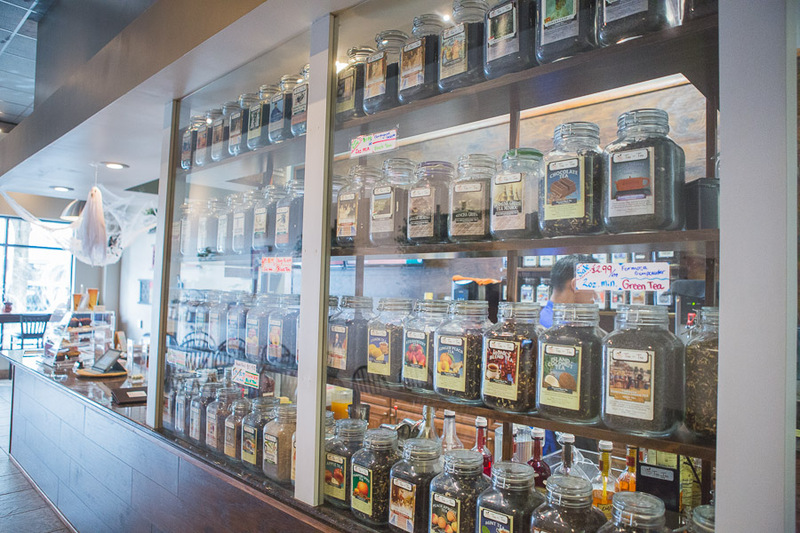 Tea and Tea is stocked with over 100 types of tea, and while that might seem a bit overwhelming, Hansen and the staff are more than willing to guide you through what kind of tea you might enjoy! 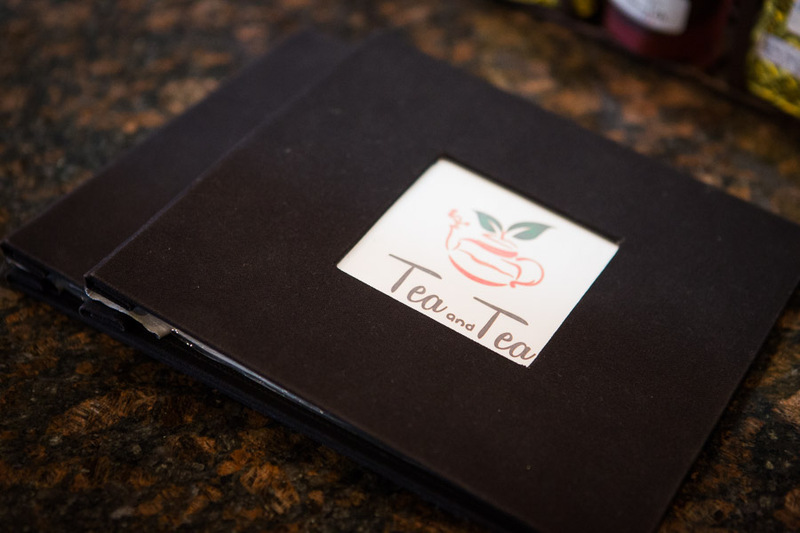 If the loose leaf tea is still too much for you to handle, there’s a menu for you to peruse with some fantastic flavor combinations. 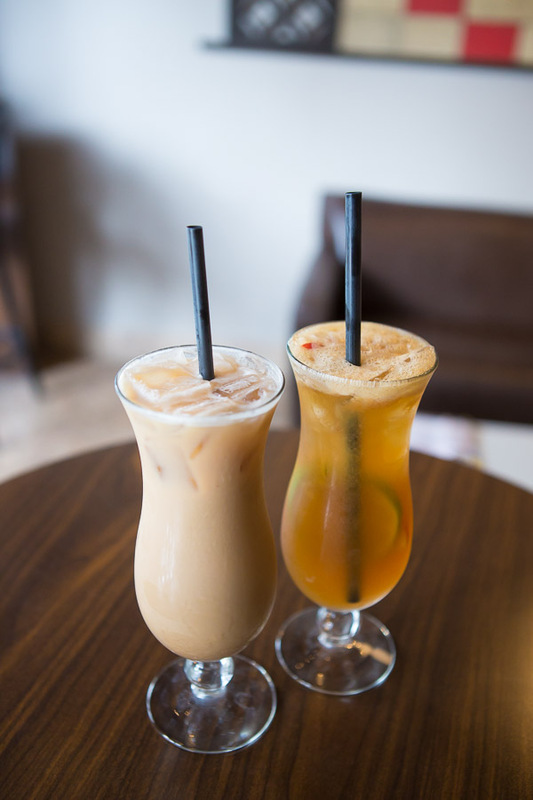 I had the Waikiki Spirit, with fresh lime, lemon, and apple, and Elysia had the Elephant Vanilla Chai Tea. Both were delicious with just the right amount of sweetness! 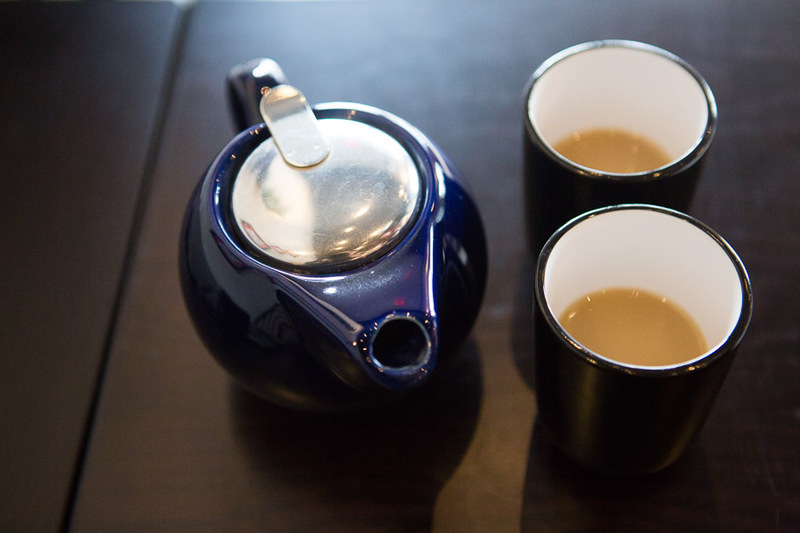 Many places overload their drinks with sugar, but Tea and Tea carefully crafts their drinks to be perfectly balanced. 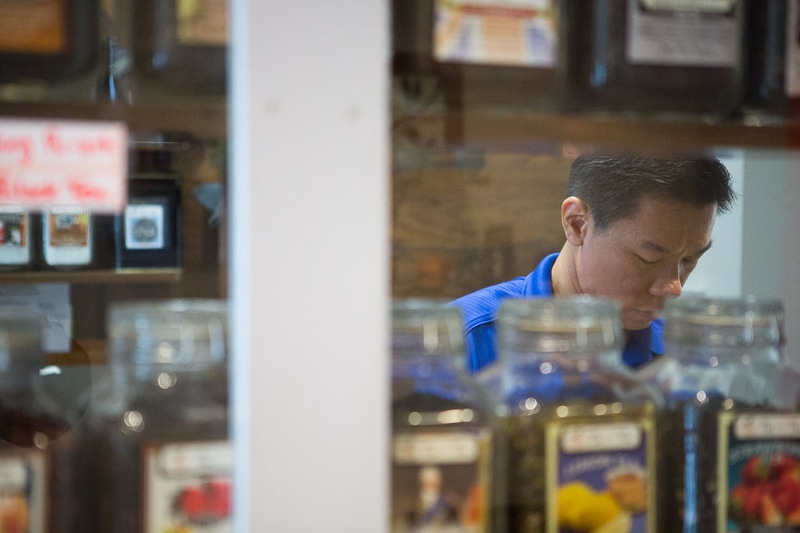 Hansen’s very knowledgeable about his tea! Upon finding out that I was more of an avid coffee drinker he brewed some Brazilian Chocolate Mate Tea with just a touch of cream for a bit of sweetness for us to sample! 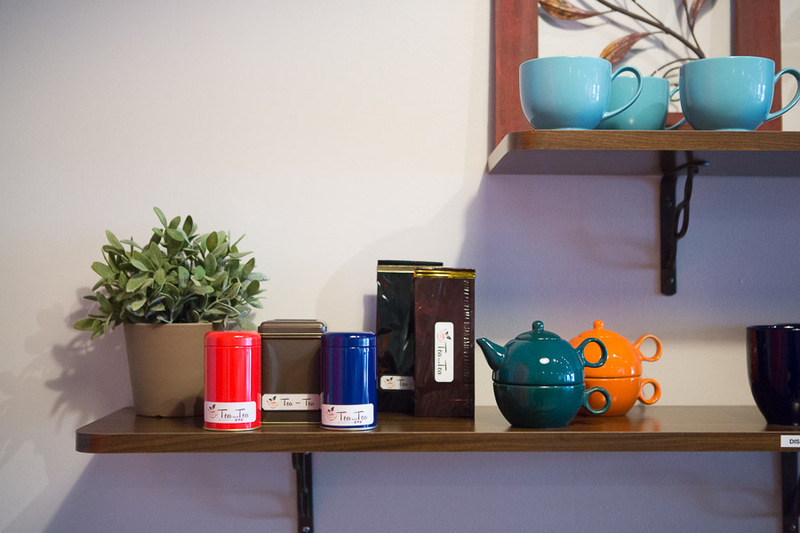 The tea has just as much caffeine as coffee, but a more mellow taste and less jolt. 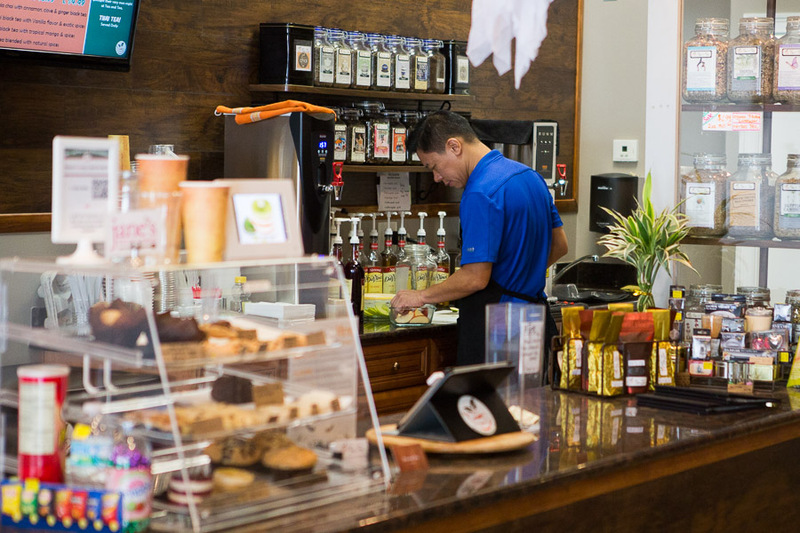 The atmosphere is warm and inviting, there are plenty of tables to have meetings, read a book, or play some games. 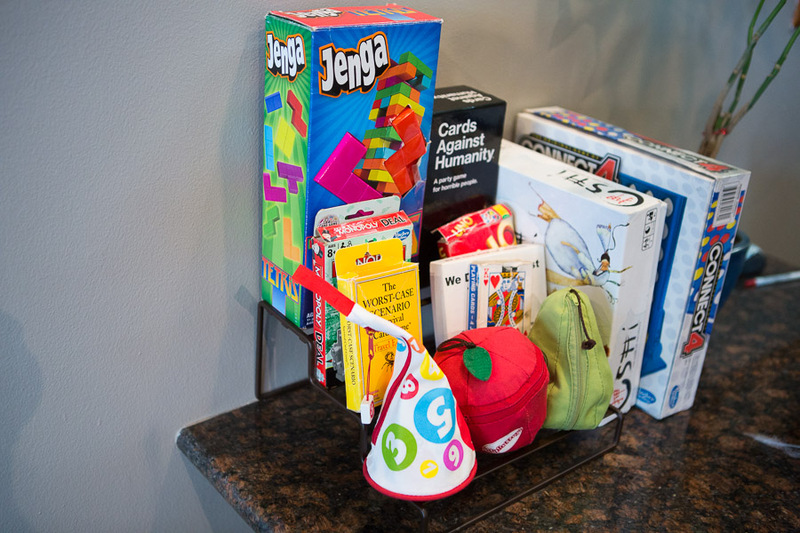 In fact, Tea and Tea has a set of games and some books ready for you just in case you didn’t think of bringing your own. 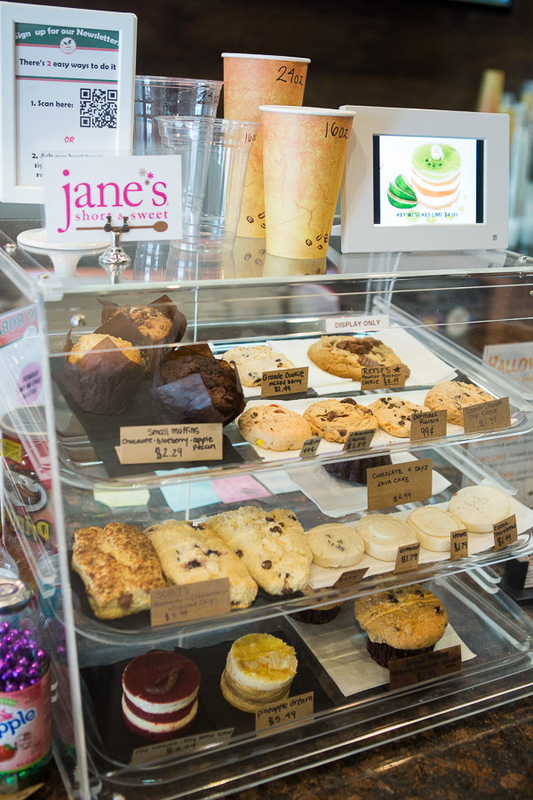 If you’re a little hungry they also have some pastries and baked goods sourced from Jane’s Short & Sweet! 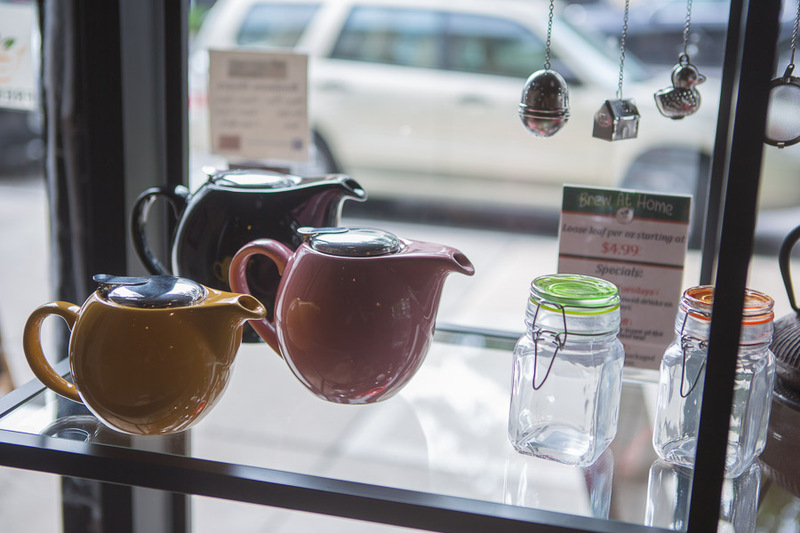 Also if you’re already an avid tea drinker and need some tea pots, infusers, and cups, Tea and Tea has those available, too, a la carte and in gift boxes! 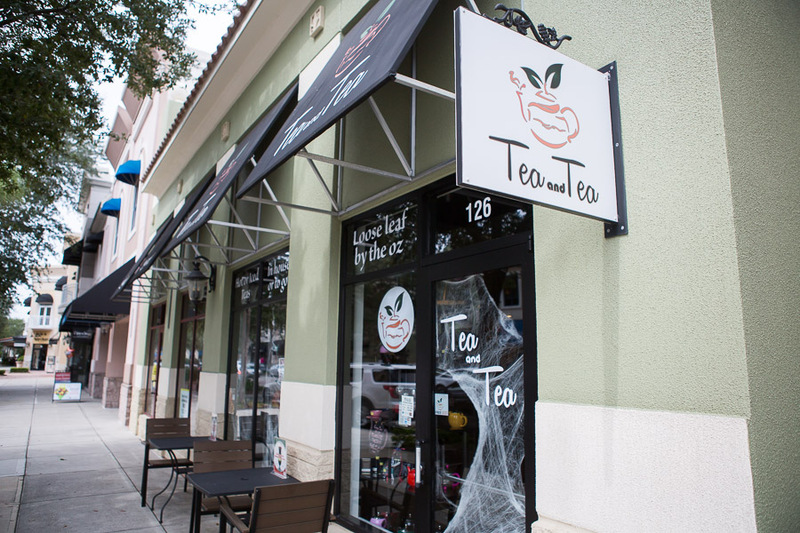 They also sell all their loose leaf tea by the ounce!